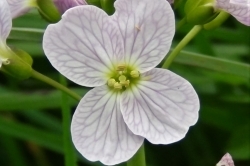 The cruciform flowers typical of a member of the Brasicca family. 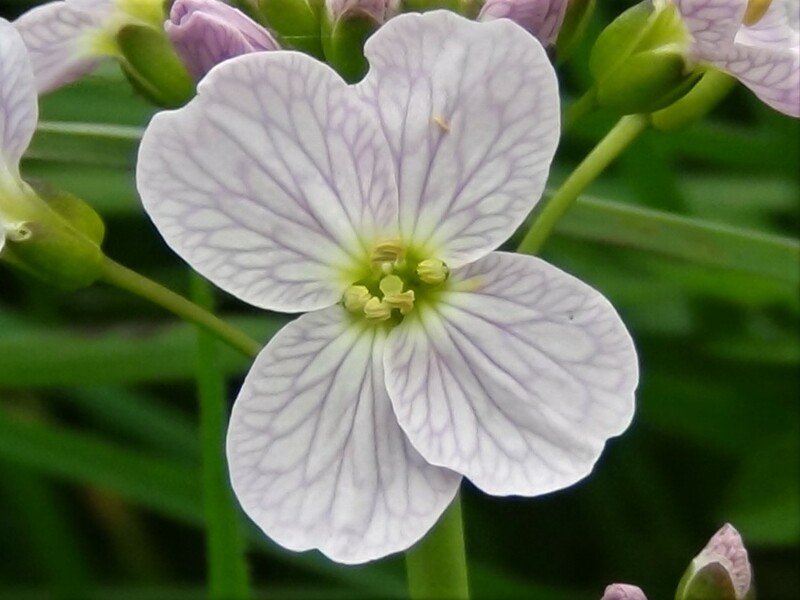 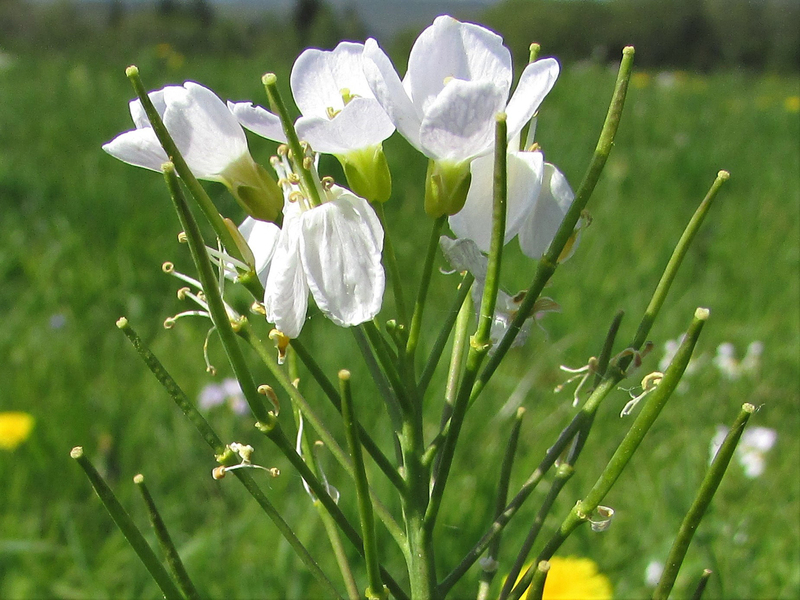 With its beautiful cruciforme flowers this plant belongs to the Brassica family and tastes of English mustard or wasabi. 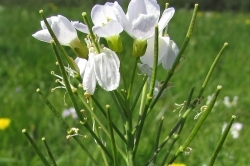 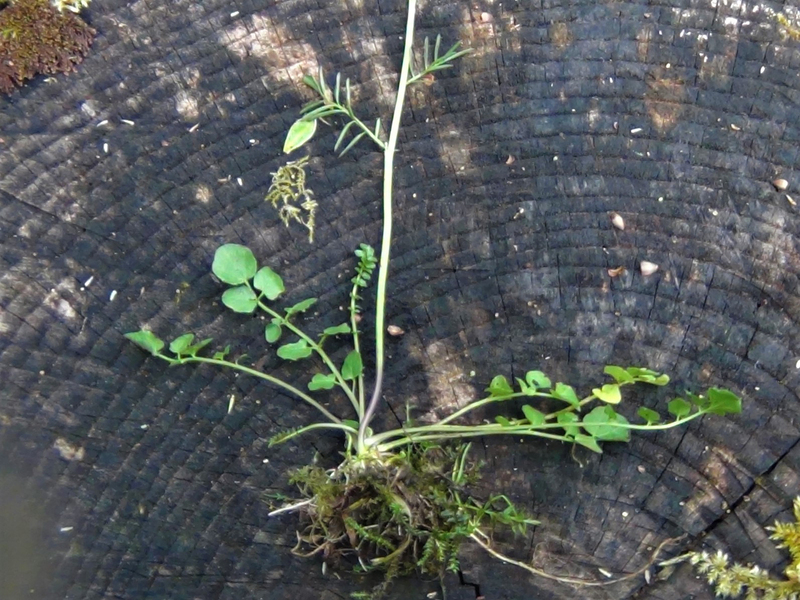 It has pinnate, compound leaves (leaves opposite each other on a stem with one terminal leaf at the end) which are thin when growing from the flower stem. 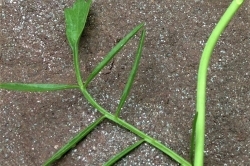 The basal leaves can usually be found year round and are much rounder than the flower stem leaves but are still compound. A beautiful crown of very pail pink/purple or sometimes white cruciforme flowers (four petals in a cross shape) growing in a ring at the top of the flower stem. 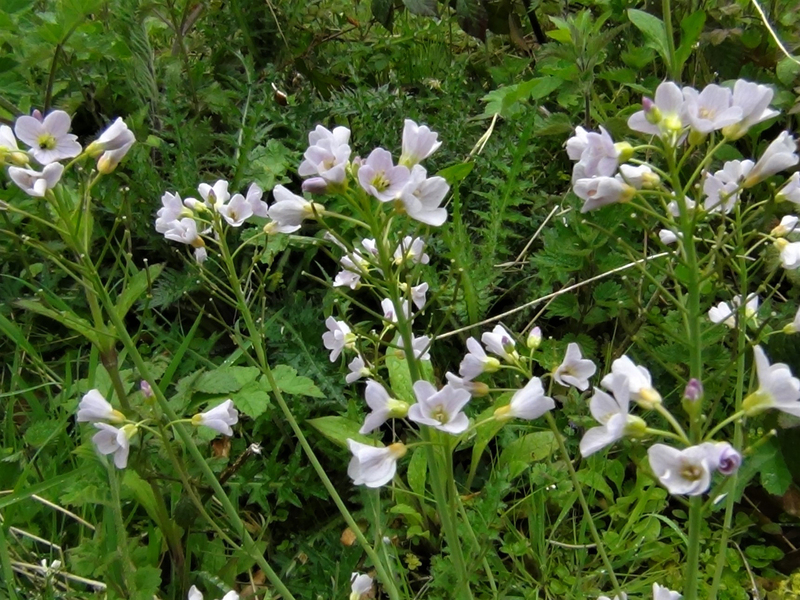 The flowers droop and close at night or during heavy rain. 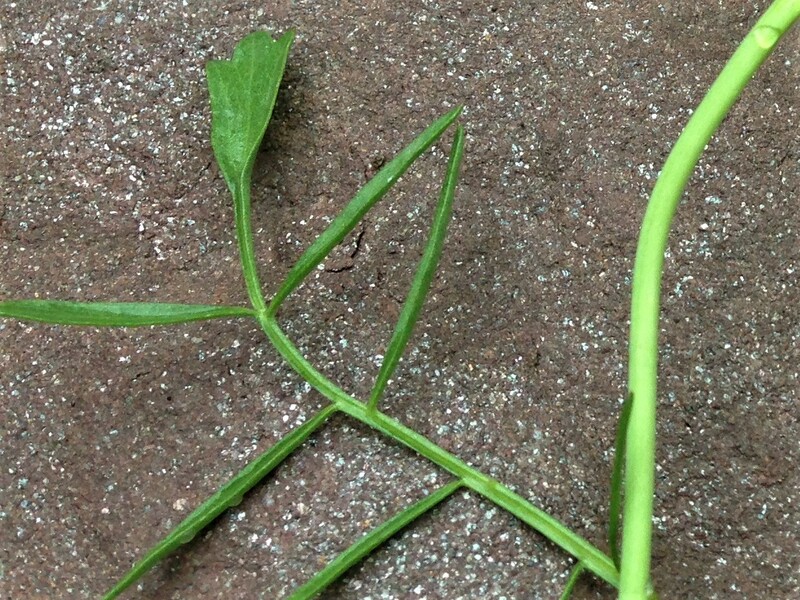 Small and seed thin pods with tiny seeds within appear when the flowers drop. 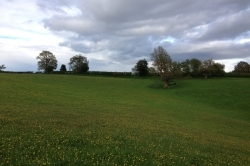 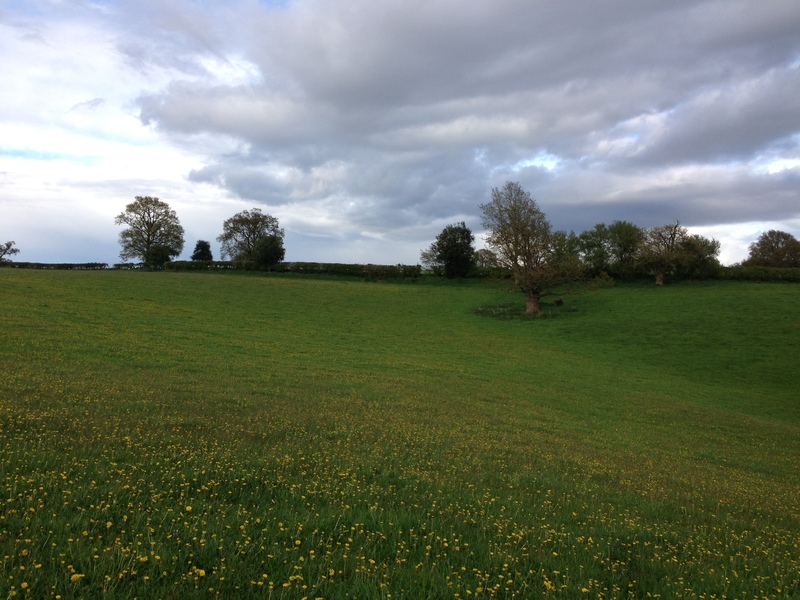 Fields, meadows, pastures, lawns, riversides, damp ditches and roadsides. 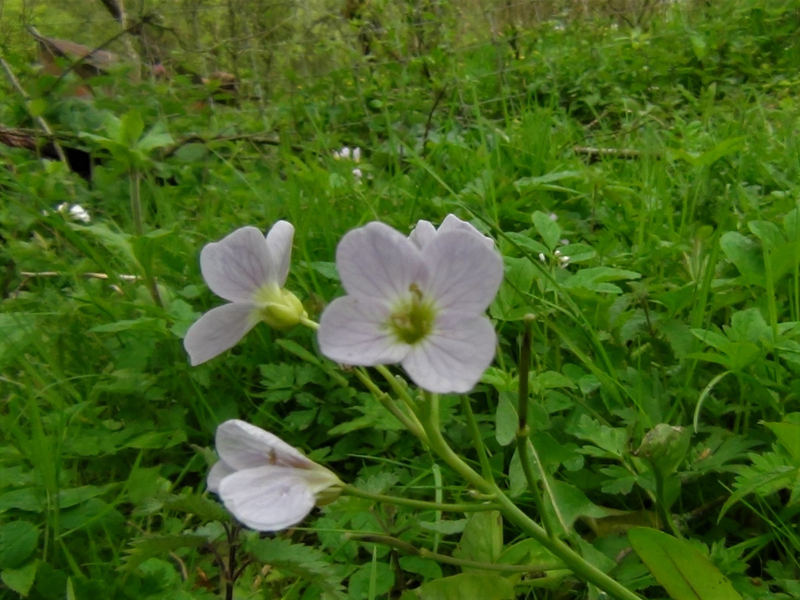 Before flowering it could be confused with some of the other Cardamines or cress family members but these are all edible. 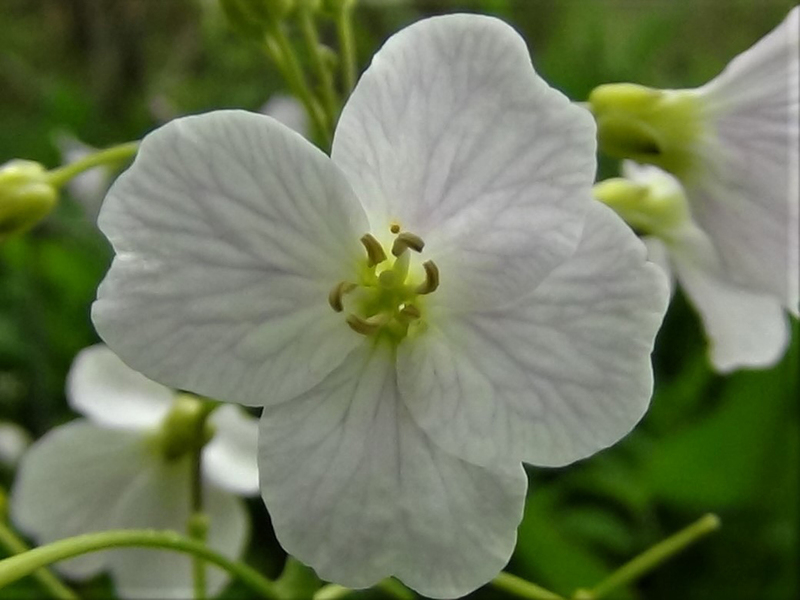 The leaves taste of hot mustard or wasabi, the flowers faintly of cress with sweet and hot hints. 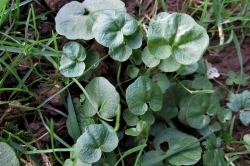 The leaves can be a bit small and fiddly to collect so take just a couple of flowers from each plant to add to a salad or dig around for the basal leaves. 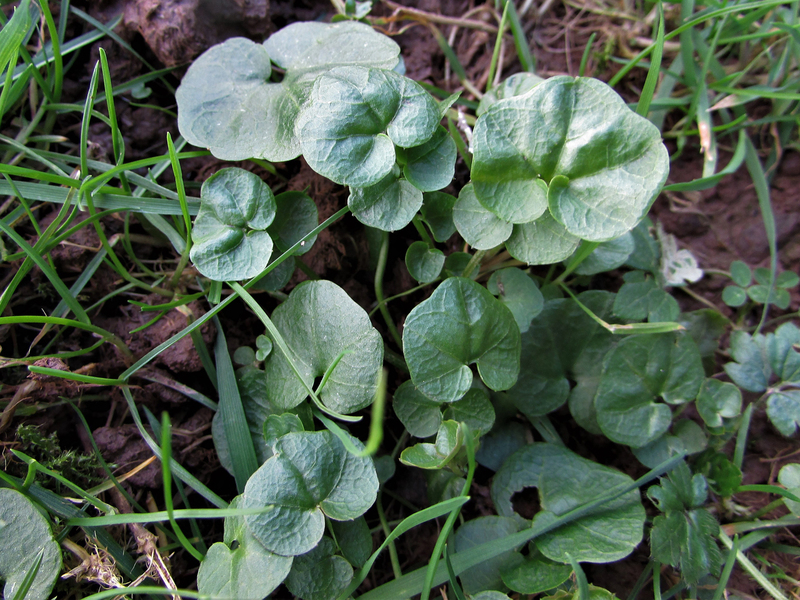 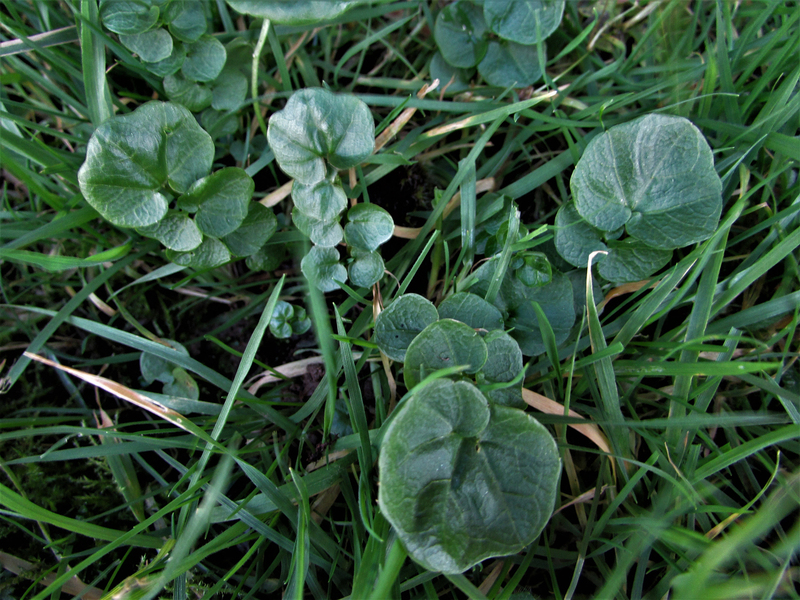 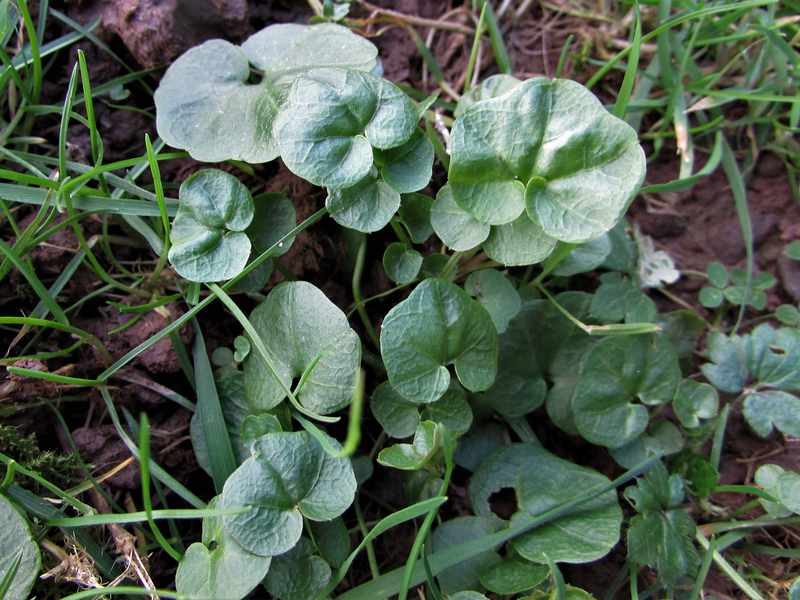 The basal leaves can usually be found year round and before flowering can be in numbers worth collecting. 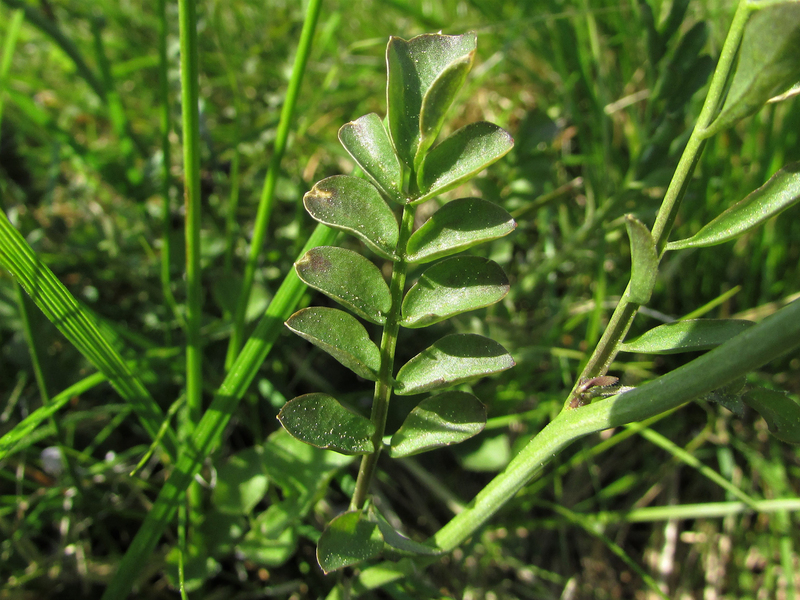 A tea made with the leaves of this plant was often used in the past as a Spring tonic or for menstrual disorders, especially to treat heavy periods. 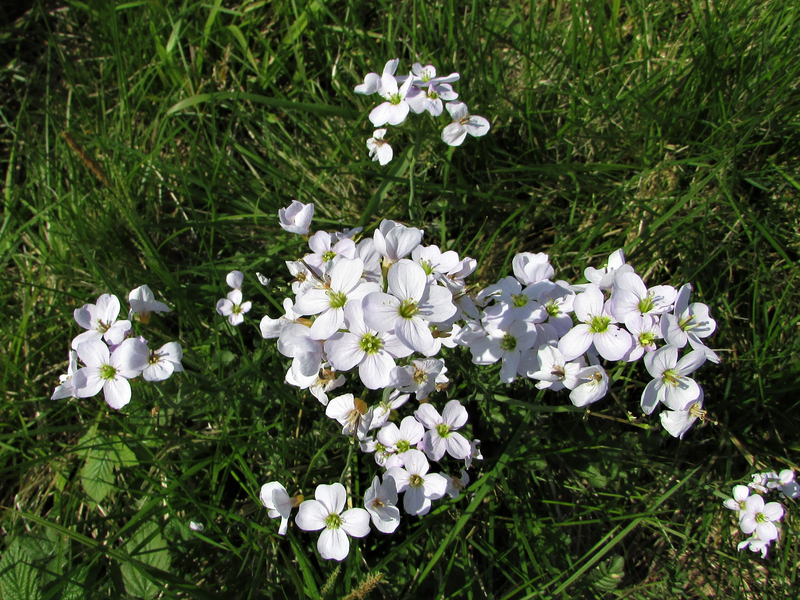 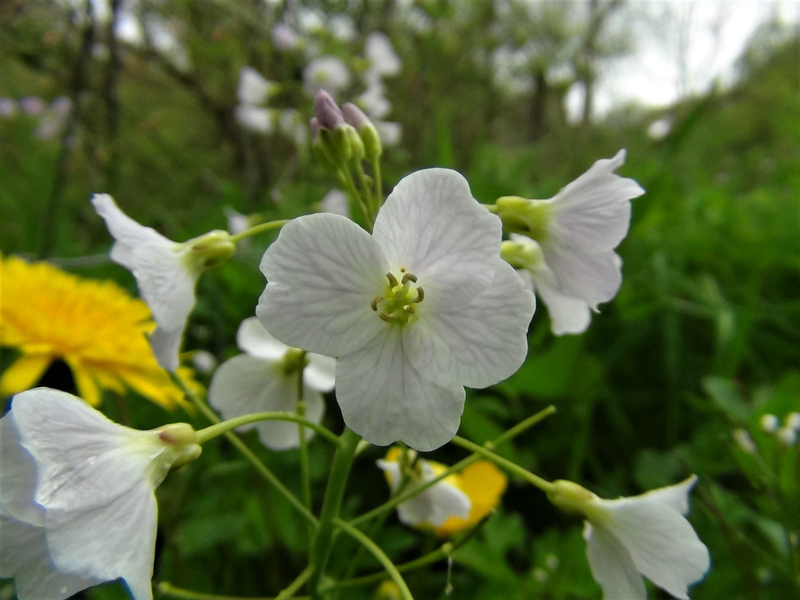 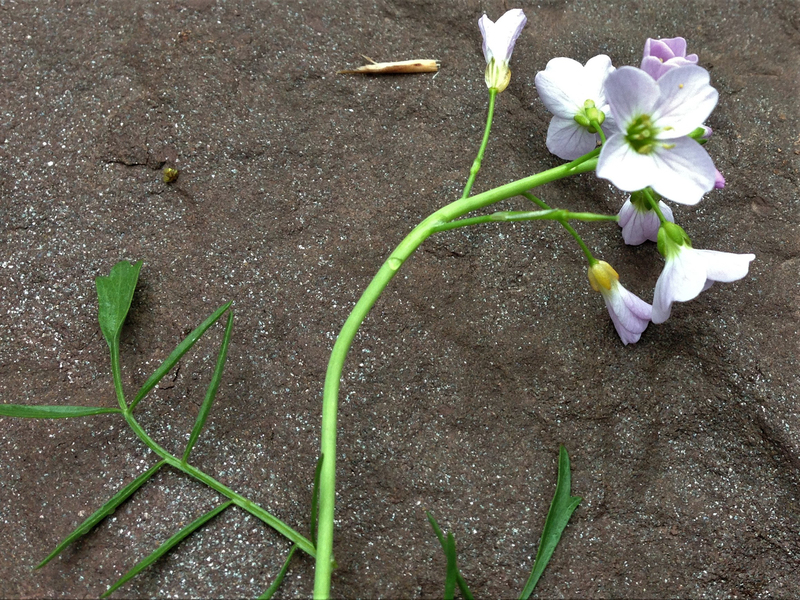 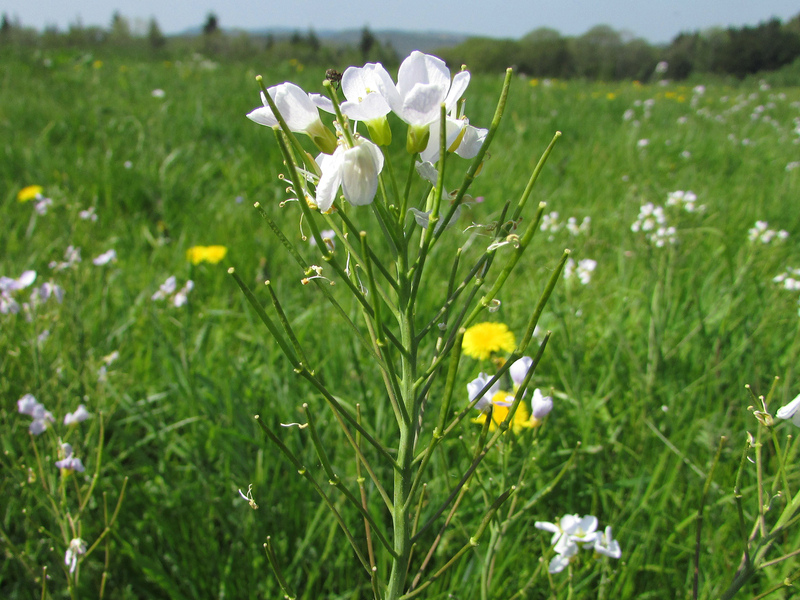 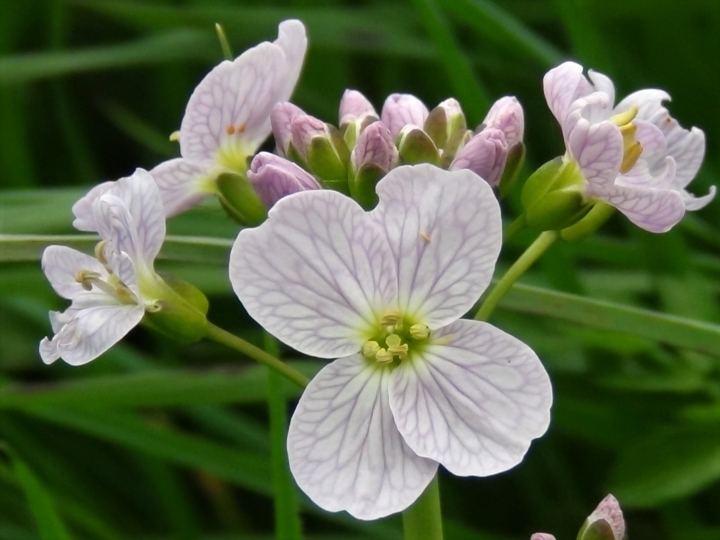 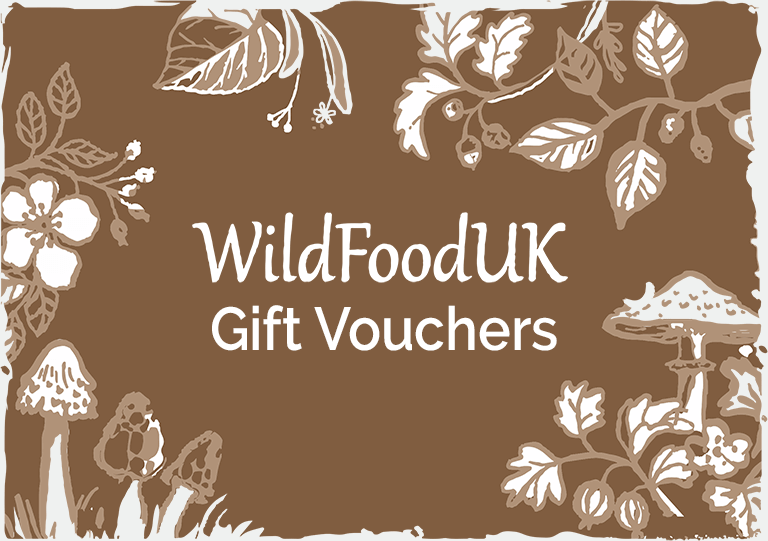 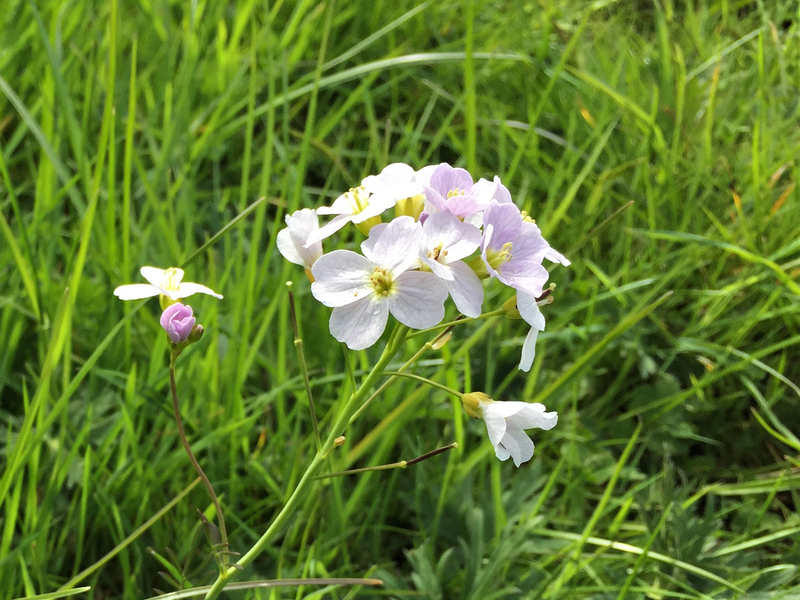 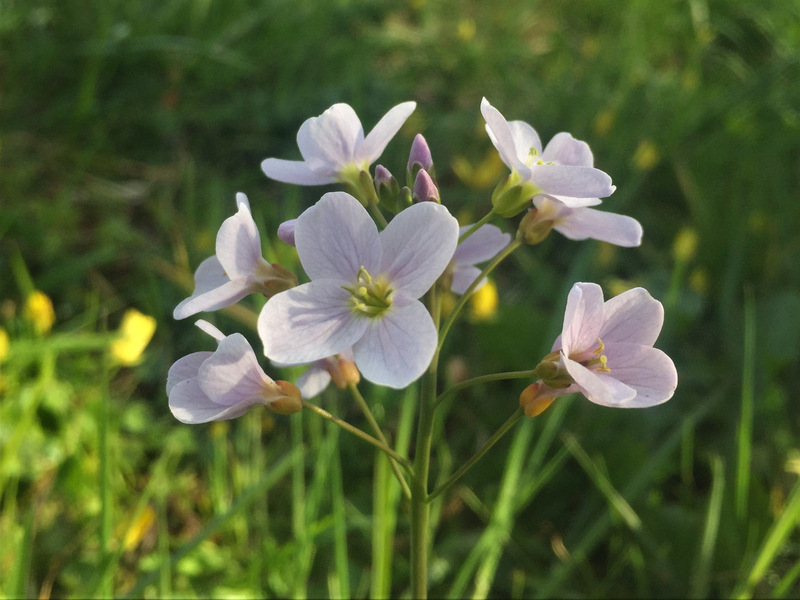 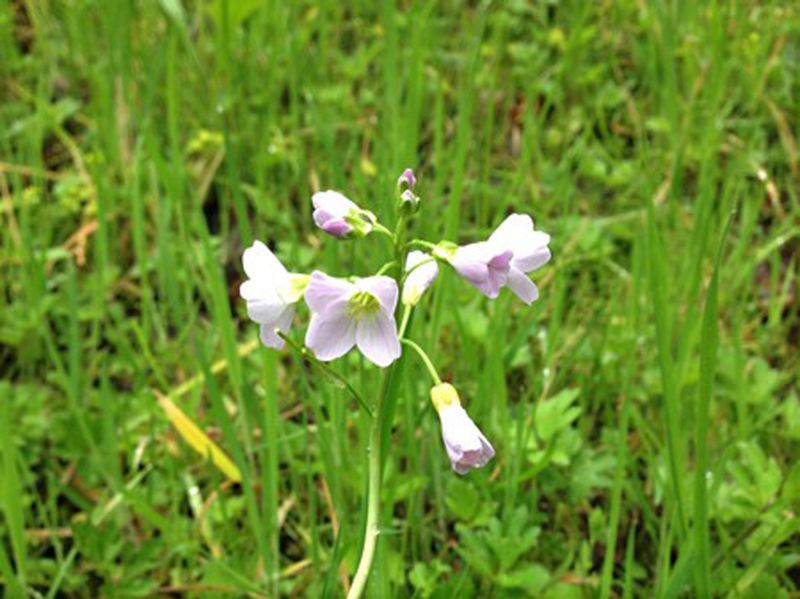 Its common name Cuckoo Flower refers to the arrival of the flowers at the same time as the cuckoo begins to sing.